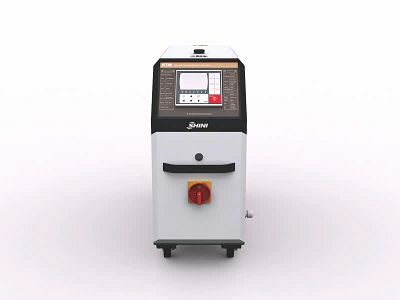 Adopts high efficiency water cycle pump, which can meet the demands of temperature control for precise moulds and mould loop with minor diameter to achieve precise temperature control and high efficient heat exchange. Pump inside adopts stainless steel to avoid explosion. Multiple safety devices including power reverse phase protection, pump overload protection, overheat protection and low level protection that can automatically detect abnormal performance and indicate this via visible alarm. For standard STM-W, the heating temperature can reach 120℃, while for STM-PW, it can reach 160℃ and for STM-HPW, it can reach 180 ℃. Equipped with high pressure protection, safety pressure relieving, automatic water supplying and air exhausting. 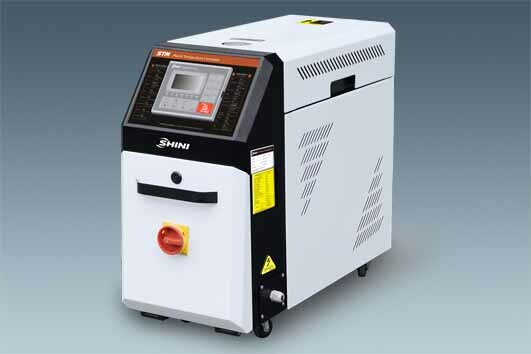 STM-PW/HPW adopts indirect cooling, which makes temperature control more precise. The low viscosity of water realizes fast heat exchange. STM-HPW adopts magnetic pump with stable performance to reduce any possibilities of pump leakage. Water manifolds and Teflon hose are optional. STM-W can opt for function of pump reversion evacuation. All models can opt for magnetic pump except for STM-3650W series.